My new Monkey Hat design. Knit in Dale of Norway Baby Ull yarn for newborn and infant sizes. 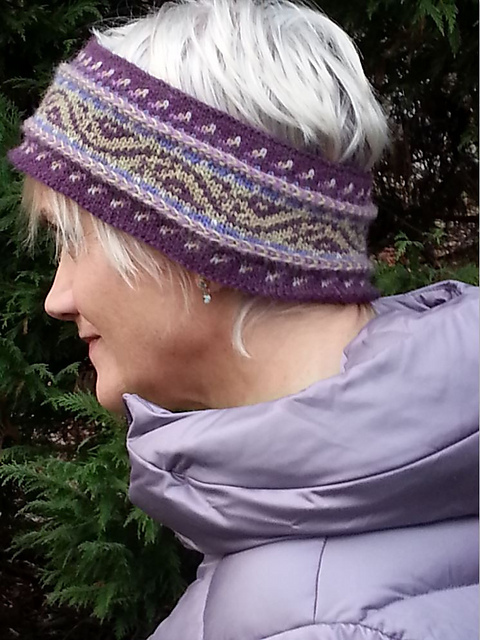 Knit in Dale of Norway Falk yarn for youth and teen / adult sizes. Kits with printed patterns available through Kidsknits.com. Personal-use PDF available for purchase and download through Ravelry. 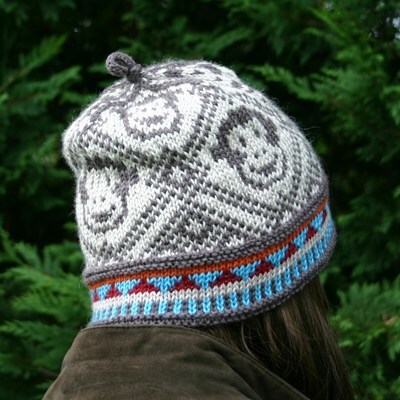 Designed to coordinate with my “Sleepy Monkey Blanket” design which was published in the Spring 2009 edition of Twist Collective. 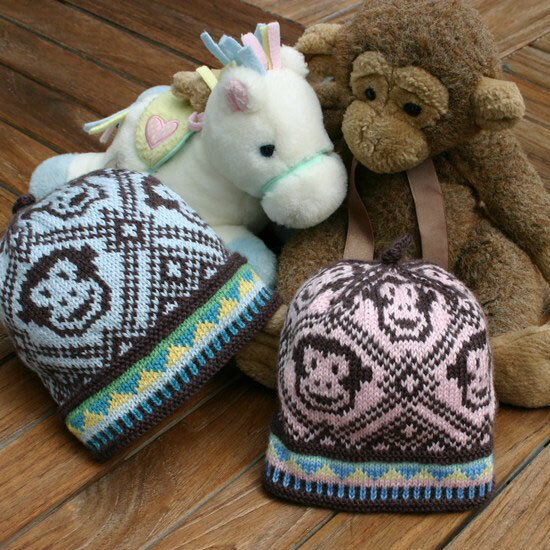 This entry was posted in Knitting, Mary Ann's Designs, Norwegian Knitting and tagged adult, baby, baby hat, baby ull, child, Dale of Norway, design, fair isle, fair isle hat, falk yarn, hat, infant, kit, knit, Knitting, knitting pattern, monkey, monkey hat, newborn, nordic, norwegian, pattern, pdf, superwash, teen, yarn, youth. Bookmark the permalink.